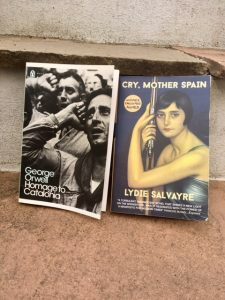 This entry was posted in English Literature and tagged Cry, Cry Mother Spain, George Orwell Homage to Catalonia, Lydie Salvayre, Spanish Civil War by Simon Lavery. Bookmark the permalink. 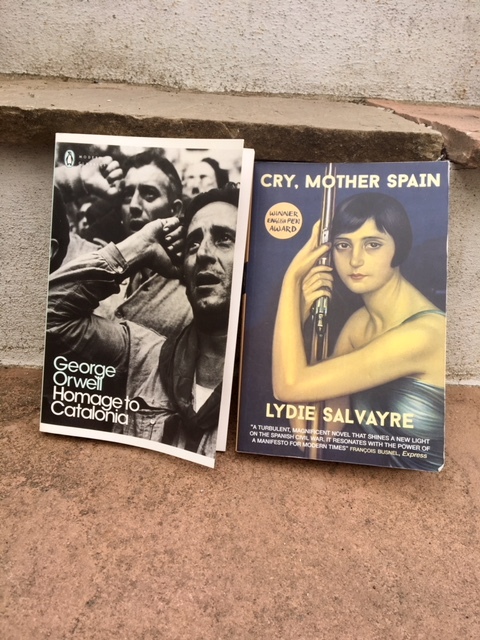 Yes, it’s a good while since I last read Homage to Catalonia (#Snap coinciding with my trip to Spain) and it’s that bitterness about what might have been that I remember, along with the brutal reality of the war. Lisa: that was my recollection, too. But Orwell refuses to despair. This is from the final chapter: he has ‘memories that are mostly evil, and yet I do not wish that I had missed it. When you have had a glimpse of a disaster such as this…the result is not necessarily disillusionment and cynicism. Curiously enough the whole experience has left me with not less but more belief in the decency of human beings.’ He wasn’t perfect, but he was undoubtedly a remarkable man. The Day Is Coming” a poem by William Morris. Maureen: yes, it’s a good quotation isn’t it. But in the face of the devious Soviet plan, not just to delay the Spanish revolution but to thwart it (in Orwell’s analysis) it’s difficult to see his deeds prevail. As Dylan sang, failure’s no success at all. What I love about Orwell is the fact he put his money where his mouth was and actually went out their to fight out of conviction. And I agree Symons is harsh – I believe Orwell was honest in his belief and tactless ardour is an odd phrase. Homage is one of his works I’ve returned to several times and always come out of with a sense of his decency and desire for a better world. Karen: well put. He says, back in Barcelona after the front, and having seen the return to bourgeois class systems, that he’s glad to have ‘been in contact with something strange and valuable.One had been in a community where hope had been more normal than apathy or cynicism, where the word ‘comrade’ stood for comradeship and not, as in most countries, for humbug. [He means the USSR, presumably] One had breathed the breath of equality.’ How awful for him to see the commissars lurch into action and start executing the men who’d volunteered alongside him to join in the genuine fight against fascism, not the phoney, duplicitous manoeuvring and chicanery of the party aparatchiks which was ultimately complicit with fascist oppression.